Local Veteran, Anthony Noble, says his service dog helps him with his suicidal thoughts. 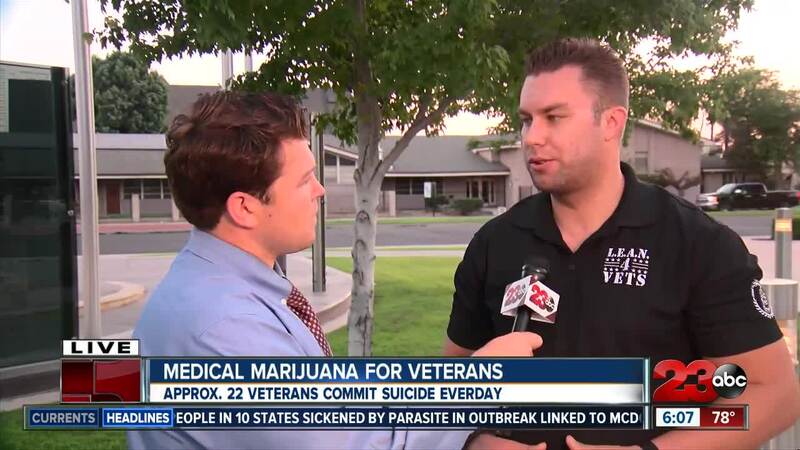 22 veterans commit suicide a day. That's an average from the Veteran Affair's office. 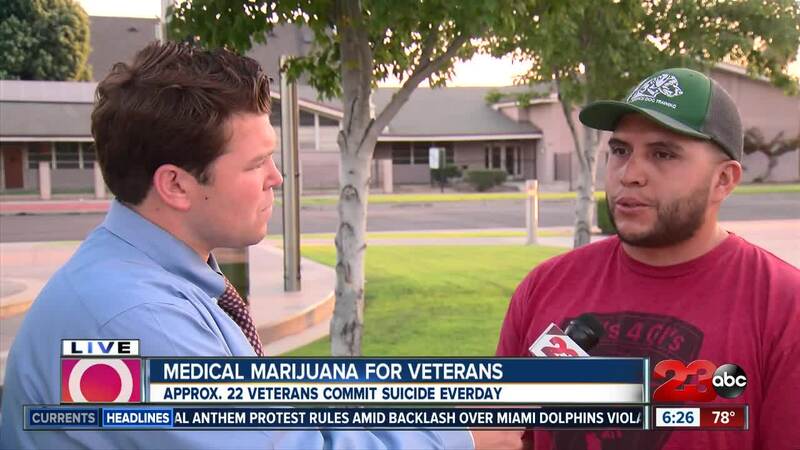 Based on that average, that means about 8,000 veterans die every year from suicide. 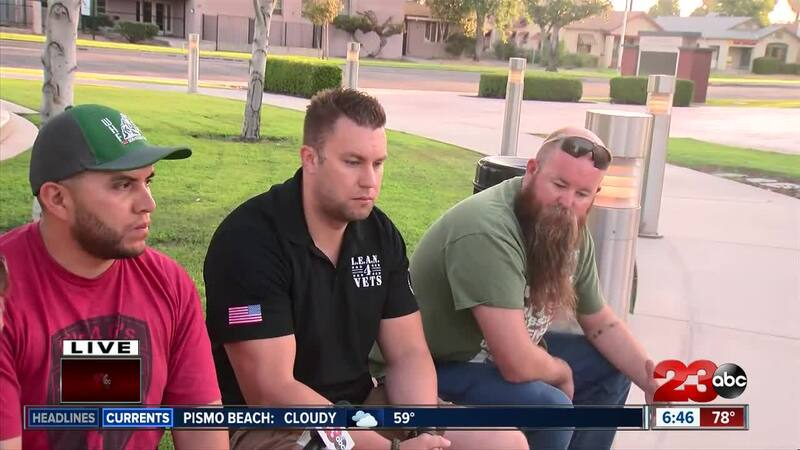 On Sunday, the 22nd day of the month, three local veterans talked with 23 ABC about their struggles coming home from duty and how they're helping other veterans work through their struggles. 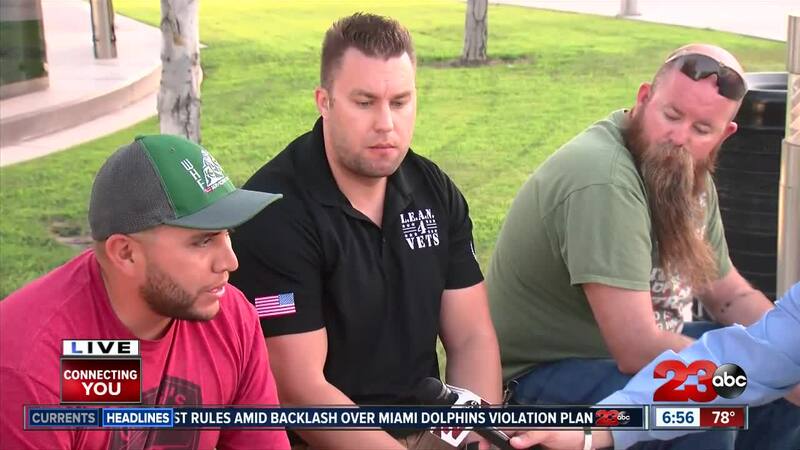 Ike Johnson (Marines), Al Ayala (Army) and Anthony Noble (Army) each said the V.A. prescribes them a lot of pills to help them handle their posttraumatic stress disorder (PTSD) and not being in combat. They said pills in some cases can make their situations worse and have found better results going down different avenues. Johnson said he started working out to relieve the stress. Since lifting weights he's lost over 60 pounds and started a non-profit L.E.A.N. for Vets. 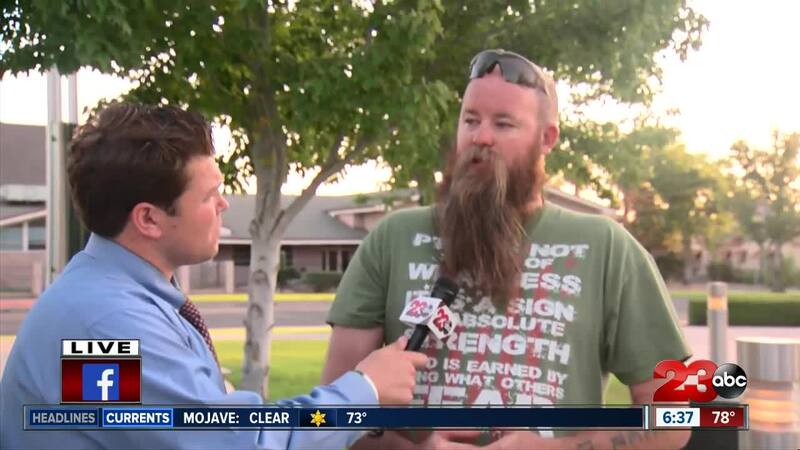 It's a non-profit aimed to help veterans have the resources to workout themselves or gain gym memberships. Ayala said he found his relief through jiu jitsu. Ayala said he also is a part of a non-profit Gi's for GI's Foundation . He said it helps him find a new mission after returning from active duty. And the non-profit give him and other veterans a healthy way to release their warrior aggression. Noble said his service dog has played a huge role in his return home. He said he tried to commit suicide three times and it's his service dog that helps him be more balances as well as helps him with his diabetes. All three veterans said the comradery of other veterans helps them get through their struggles. And the best way to help prevent suicide is for people to talk about suicide and try to reach out to those who may consider suicide before it's too late.